Hip dysplasia in dogs is a common canine disease, where the ball and socket joint in the dog’s hip is malformed. A dog’s hip joint is composed of a ball and socket, which allows them the kind of range of movement they need for mobility. Under normal circumstances, the ball and socket joint moves smoothly while walking or running. When hip dysplasia occurs, the ball and socket joint lose their proper form and no longer work together properly. This results in the ball and socket to no longer slide, but grind and rub against each other. This failure of the joint bones to move normally will continue to gradually deteriorate as the dog gets older. This leads to limited range of motion, and eventually the loss of function of the hip joints. Hip dysplasia is a common disease among dogs, especially with large and giant breeds such as German Shepherds, Great Danes, Labradors, and Saint Bernards. It can also occur in smaller breeds although more rarely. Gender does not appear to be a factor as it affects both male and female dogs. What does appear to be a key factor is genetics, as some breeds are more predisposed to the disease. The first signs of hip dysplasia may present while the dog is still very young, even as early as four months old. 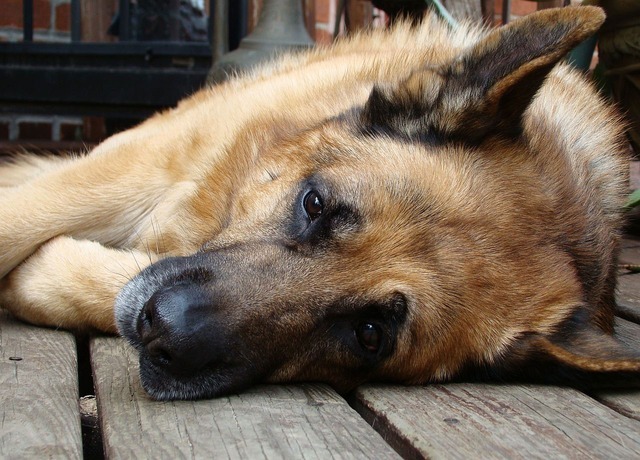 In some cases, onset occurs later in a dog’s life, usually due to other skeletal problems such as osteoarthritis. If you suspect your dog may be suffering from hip dysplasia, bring the dog for a checkup as soon as possible. It will also help your veterinarian in diagnosing your dog’s symptoms if you can give them a thorough history, including overall health, symptoms, recent injuries or accidents. The history of the dog’s parents is also very helpful information in diagnosing hip dysplasia.